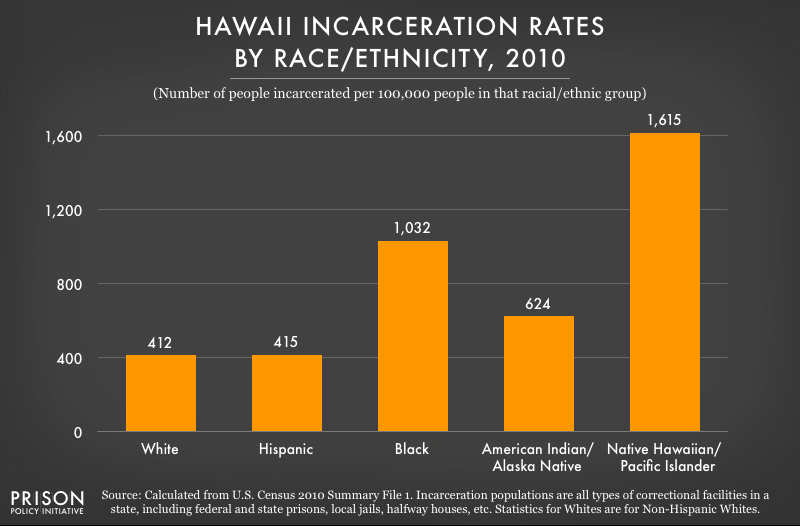 Several factors lead us to believe that our analysis understates the extent of the disproportionate incarceration of Hawaii's Native Hawaiians. The Department of Public Safety (which runs the prison and jail system) says that the state's incarcerated population is 39% Native Hawaiian or part Native Hawaiian. 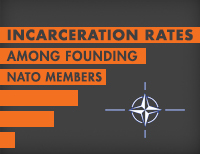 Some organizations and individuals who work in the correctional facilites report higher numbers. 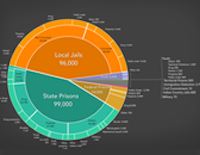 Can the Census data shed new light on how many Native Hawaiians Hawaii incarcerates? It matters how race/ethnicity data is collected, by whom and for what purpose. Often, the data collected by the Census Bureau on the race and ethnicity of incarcerated populations comes directly from correctional facility administrators, and so it will be compromised by any methodological shortfalls in the original data collection. For example, a person who identifies as Native Hawaiian and participates in Native cultural programming might have been classified by the administration as white without that person ever having been asked to self-identify. This problem is particularly important in the Native Hawaiian context because many Native Hawaiians are of more than one race, but many correctional systems are still collecting data under the antiquated conception that people can be of only one race. On the other hand, sometimes the Census Bureau collects its data directly from incarcerated people and we can get a new piece of data to compare with the correctional facilities' data. Data variations suggest that the Census Bureau relied on Hawaii Department of Public Safety records for the race and ethnicity of incarcerated people in the 2010 Census, but may have directly enumerated incarcerated people in the 2000 Census in at least some facilities, which then allowed at least some incarcerated people to select more than once race. Clearly, there were more people labeled "Native Hawaiian or Pacific Islander alone" at Halawa prison in 2010 than there were in 2000, but the dramatic difference in the number of people reported as being of more than one race raises many questions. As the data from the federal facility (in point #2 below) suggests, the answer is unlikely to be a massive change in the race of people sent to prison. Other researchers may find those figures useful. The state Halawa prison reported almost no one of more than one race and the federal facility reported that 35% of the facility was of more than once race. This large difference is likely due to data collection differences rather than population differences. A large portion of Hawaii's prison population is sent out-of-state, and that population is disproportionately Native Hawaiian. 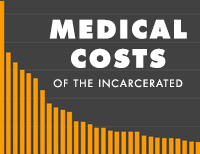 Because the Census Bureau counts people where they are confined, both the incarceration rate for Native Hawaiians and the portion of the prison population that is Native Hawaiian is underreported in these graphs. 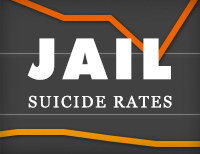 In 2010, Office Of Hawaiian Affairs released a report The Disparate Treatment of Native Hawaiians in the Criminal Justice System finding that Native Hawaiians were disproportionately sent to out-of-state prisons. The report said that in 2005, "of the people in out-of-state facilities, 41 percent are Native Hawaiians". The numbers may have gotten worse, as our our analysis of the Census Bureau data for Arizona's Saguaro Correctional Facility says that that facility is 48% Native Hawaiian alone, and 49% Native Hawaiian alone or in combination with other racial groups.